Alinea At Home: Leftovers: Roasted Curry Pecans, and Viewer Mail! Leftovers: Roasted Curry Pecans, and Viewer Mail! Using the leftover curry salt from the Duck, pumpkin, banana, Thai aromatics dish, I made one of my favorite snacks: roasted curry pecans. It's so easy, you really don't need a recipe. Here's what I do: melt a stick of butter in a saute pan, add salt, curry powder, and raw sugar. Stir until butter is melted and all flavors incorporated (use whatever amounts you like, that will satisfy your particular tastes). Throw in a pound or so of pecans. Stir until the nuts are coated. Then, dump the nut mixture from the pan onto a parchment-lined baking sheet. Roast coated nuts in a 375F oven for about 15 minutes. You'll be able to smell when they're done -- the curry smell will deepen, and you'll smell the sugar really start to caramelize. Remove pan from oven and let them cool to room temp. The whole process, start to finish, is 20 minutes at the most. "Can you reflect yet about what it's like cooking from Alinea vs. cooking from French Laundry? FL dishes are familiar in the sense that they're salads, soups, entrees, desserts, etc. ; Alinea's dishes are less familiar, tastings rather than typical courses, using ingredient pairings that one probably hasn't had before. One cooks out of FL and says, "Here's dinner." From Alinea, one might say, "Here's a bite (or two or three)." FL is elegant and refined; Alinea is playful (and elegant and refined). I guess what I want to know is: does cooking Alinea feel the same as cooking FL? Or does cooking Alinea feel like playing? Or maybe like doing a science experiment? I'm just wondering if the experience is different, and if so, how." I've actually been thinking about this a lot lately, because I'm a year into this book and a little over a third of the way through. I'm stepping up my schedule (now that my worklife has slowed to a normal pace), so I'm hoping to post full dishes twice a week instead of once a week from here on out. But, back to JoP's questions. You know, just last weekend, I went back and re-read FL@H from start to finish, and, as a result, spent a lot of time reflecting on where I was and where I'd gone in the first third of that project. Before I started French Laundry at Home, I knew how to cook, I just needed to reawaken my senses. I needed to get past some of the fears or uncertainties I had about what kind of cook I was. I needed to prove to myself that I could cook every single thing in that book. I was hungry to learn and to be challenged. But above all, I needed (and I mean needed) to write, cook, eat, and learn, all at the same time. It was primal. It was from the gut. It was from the heart. I wanted to learn, and learn from the best. I look back at some of the posts from my first year of FL@H and laugh, or cringe, or wince, or shake my head. For example, the parmagiano-reggiano crisps? I sweated through that first time making them, and they completely and totally stressed me out. Now? I make them without even thinking. It's become part of my DNA; I go on autopilot. I make a mean effing parm-reg crisp. The duck roulade? It was the first time I'd done anything sous vide, and I really didn't know I was cooking en sous vide. But now? I can cook sous vide. Nearly every single dish that first year changed everything about the way I cook. It made me sharper, more intuitive, and more thoughtful about everyday cooking. It made doing a braised stuffed pig's head seem easy and even enjoyable. Cooking from the Alinea cookbook is different, but I fear that, for many people, my saying that implies that different is bad, or less than or not quite the other thing. That's not the case here. It's just different. It's different in the same way that my starting French Laundry at Home was different. Back then, I had never cut the face off a softshell crab. I'd never whipped Brie. I'd never cooked with morels. I'd never diced something to 1/16". I'd never broken down a baby lamb. I'd never purchased a pig's head. I'd never made a powder. I'd never made a quenelle. I'd never made veal stock. But when French Laundry at Home was coming to its inevitable close, I knew I had so much more to learn. I knew there were challenges way above my skill level that I wanted to try. And, again, I wanted to learn from the best. I haven't really talked about this before, but about eight months before the Alinea cookbook came out, I had separate email exchanges with two men in the food world who I greatly admire. With both of them, I wrote about where I was with FL@H and what I might want to do next. 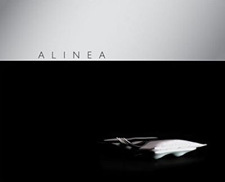 I floated the idea of doing the Alinea cookbook -- without knowing anything about it, and not yet having eaten there, either -- and they both said that they thought I was crazy, that it couldn't be done by anyone really, and that there was no way I could do it. If you know me in real life -- hell, if you've read me long enough -- you know that telling me I can't do something is going to make me want to do it. And as soon as I decided it was the next project I was going to take on, I felt that same buzz of energy and fear that I'd felt when I started French Laundry at Home. That same uncertainty about what kind of cook I was. That same fear of techniques and ingredients I'd never heard of. That same hunger to be challenged. That same drive to write and cook and learn... and, again, to learn from the best. So, much like the things I didn't know when I started FL@H, when I started this blog, I'd never made an antigriddle out of dry ice and a baking sheet. I'd never used an immersion circulator. I'd never heard of some of the ingredients I'd be working with. I'd never pushed myself this far out of my comfort zone in the kitchen. But I wanted to, because I saw how I grew as a cook and as a person by cooking my way through The French Laundry Cookbook. So, why not try another book that the industry and the media said was the most difficult, challenging, and not-for-the-home-cook? Bring it. Yes, sometimes the end result of an Alinea dish is just a bite or two, and yes, some of the ingredients, flavor profiles, and techniques are different, but my intent is still the same. By the end of this, I want to have not just cooked every dish in the Alinea cookbook, I want to have grown in new directions as a home cook. None of these dishes have felt like a science experiment, nor have any of them felt like play time. Doing this blog feels like doing something I've never done before, yet within a context I'm comfortable in. I think the best way I can explain how the two blogs are similar, yet a little different, is by drawing a parallel to the way I like to spend my vacation time. A few times a year, I need to go to my favorite beach town. It's just three hours away and many friends live there year-round, so I always have a place to lay my head at night when I need to hear the ocean and go for a walk along the water, even if it's just a quick day trip or for a weekend. There are times when I just simply need to be there. It's part of who I am. But, I wouldn't be who I am without opening myself up to new places, people, and things. So, at least once a year, I like to travel to somewhere I've never been before. Sometimes it's overseas, and sometimes it's here in the U.S. -- heck, sometimes I stumble onto new places on the drive to somewhere else. Sometimes, I find places I want to go back to. Other times I don't. But it's about exploring and learning and leaving a piece of me there, and bringing a piece of that place back home with me. And, what I love even more is when those new places become familiar places, because I fall in love with it and want to go back again and again. I need both kinds of experiences. The new and the familiar. Same thing goes for me in the kitchen. So, you see why ya can't -- or at least I can't -- fairly compare one to the other. They're different, and yet so much the same in terms of how I allow them to shape and mold me. Let me take a minute to address the many, many emails and comments I've gotten with the suggestion that I cook my way through Ad Hoc at Home and blog about it. I love that so many of you are loving this book. I love the way it's written and laid out, I love how open and friendly and non-intimidating it is. And, I think it's the kind of book that can teach so much, and pretty much obliterates the need for 75% of all the cookbooks on the market today. I think it's one of Artisan's best books, and if Ann Bramson and the whole Ad Hoc at Home team were standing here in front of me, I'd give them the biggest hug, because this book sings... it absolutely sings. So...... will I cook my way through it and blog about it? My answer to that is: No. No, no, no. And also? No. Actually, you know what? Don't. Ad Hoc at Home is written for home cooks. It's why they named it Ad Hoc at Home, instead of just Ad Hoc, or the Ad Hoc Cookbook. It's already all about home cooking, and it's chock full of recipes you can do quite easily, believe me. Ad Hoc at Home is all about bringing people together at a table over plates of incredible food. It's the kind of food you already know how to make, but Thomas shows you how to do it even better. It's the kind of cookbook that should make you want to shut out the world for a few hours while you get your hands dirty and do some good, honest cooking. It's written in such a way -- and the illustrations and the photography are so, so great in this regard -- that it doesn't need to be blogged for other home cooks to be able to cook from it. In fact, I think blogging about it cheapens the intent of what the book has the power to deliver. One of my favorite food people, Helen Rosner, did a behind-the-scenes story at Ad Hoc with chef Dave Cruz, and they also talked about how this very cookbook is the reverse of other restaurant cookbooks -- that it all started with home cooking. So, if you have Ad Hoc at Home, my advice to you is to step away from the computer and put down the digital camera. Shove your Blackberry and iPhone into a jacket pocket in the closet. Spend time with the people in your life. Cook. Eat. Drink. Laugh. Enjoy. THAT'S what the book is about. It's not about Flickr or Facebook or Typepad or Twitter. It's about connecting with people face to face, forks in hand, food on the table, and the great stories that come about when people turn off the noise in their lives and actually spend time together with no greater purpose or outcome than to enjoy one another's company. That's what I love about this book. It's the kind of food I want to cook and eat and never ever photograph or write about because the pictures and words could never possibly convey the feeling of what it's like to have people you love at the table with you, eating something you've cooked just for them. But if you insist on reading a blog about how to cook something from Ad Hoc at Home, there's always this: Ad Hoc at Home, At Home. UPDATE: Michael Ruhlman just announced on his blog that Ad Hoc at Home just landed at #7 on the New York Times bestseller list. Remarkable, amazing, well-deserved, glorious, and it couldn't have happened to a nicer group of people. LOVING this news! I am glad you took the time to reflect on that question, because I myself wondered about it, but thought that maybe you would address it once Aline came to an end. I have Ad Hoc at home and love the book, but would never attempt to cook the whole thing, I am already doing the whole Bread Baker's Apprentice book, and even though it's been wonderful so far, it does limit a bit what kinds of bread I make each week. I don't intend to enter this kind of adventure again. I am always in awe with every one of your dishes here (and earlier at FL), knowing I would never be able to do them, or to have the commitment you pull it all through. I gotta disagree that Ad Hoc at Home is "for home cooks". Yes, it's family style recipies, but it's still recipes cooked in Thomas Keller's infinitely picky, triple strained, extra-chinoised style. Keller even admits as much in the first chapter. Now, I've made a couple of the recipes (the marinated pork tenderloin, for instance). But I didn't do all the finiky stuff that T. Keller has as his trademark. And it turned out just fine. I simply believe that if he wanted it to be for home cooks, he'd have left the chinois out, embraced the tongs, and worked with a normal home cook while developing these, using the normal methods of the home cook, instead of being Thomas Keller. Yes, the normal home cook could probably use some improvements of technique, but I have an hour to cook supper most nights. I don't have time to fiddle around with straining a sauce 3 times and cutting new vegetables to saute and soften for an hour when the veggies in the stew I just cooked for 3 hours are already soft (have you seen all the steps he redoes in Beef Burgundy? Which, btw, is a quintessential home dish, in France). I happen to like Keller's cook books, but there is a huge disconnect between the way he cooks (and the way he thinks cooking should be) and the way most of us "average joes" cook. I would love to be able to spend all my time thinking about food and how it's prepared, but I have a life, and food is not the center of it. It's a passion, but I have other passions, and some are more important. So, cooking gets a hour or so a day, with Sunday being devoted to something more complex. That's just the way it is, for me, and for, I suspect, a lot of people. As ever, great post and thanks for the discussion of the idea behind both projects. Regarding *Ad Hoc at Home,* I couldn't agree more--it would be a strange kind of violation of what the book is for to blog it. It *is* all about home cooking and, while I've not cooked a whole bunch of stuff out of it yet (just the pan-roasted chicken with peppers and sausage--awesome! ), the recipes look entirely feasible for a weeknight meal--assuming some planning. A Sunday supper would, of course, be more leisurely. Thanks again, and I look forward to seeing the more-frequent posts! I will be getting an autographed copy of Ad Hoc at Home this Friday at the Fabulous Food Show in Cleveland! I also get to meet Mr. Keller and I am SO SO SO excited! Thank you for this Carol. These posts are why you're not only one of my favorite food writers, but one of my favorite "inspirational" writers. You go girl. You know what? Thank you ...just THANK YOU VERY MUCH for your excellent writing and your passionate cooking. I think you are fabulous and read your posts with almost as much gusto as I bring to eating. My kitchen is at the centre of my apartment and I like to think it's the beating heart of my home life. Your blog gives great inspiration to me and I'm sure to many, many others. I think it's a good thing for you to tell people to get out of their technological devices and into their kitchens, but I certainly hope you keep snapping pictures and writing wittily of your culinary exploits. You rock. I ended up re-reading your parmagiano-reggiano blog entry, too, and I realized there were so many culinary cliff-hangers in there that it made me eager to hear more about what you've learned over time to master this dish so that you can do it "without thinking". For example, did you ever end up getting the 2.5" ring mold? :) Do you still use the shot glasses / egg carton to mold the crisps or did you find an alternate method? Did you ever figure out why the mousse never became mousse-like? Thanks, too, for the tip about Strosnider's! I recently moved to DC, have passed by their Bethesda store often, and would have never known they sell kitchen supplies had you not mentioned it. Carol, thanks for your insightful comments about then (FL) and now (Alinea). Thanks for taking us along on your journey. You know what? There is payoff in doing the extra steps and taking the extra care. Do you really need to strain a stock or sauce? Well, no, I guess not. But will you notice the difference if you do? Absolutley. So, maybe do an AD HOC AT HOME dish on a lazy day when you have time on your hands (for me, that's Sunday). On a day like that, do a Keller dish as described. The result may amaze you. And if you keep trying dishes from AD HOC and elsewhere, maybe you'll find methods and ingredients and tools that you you can incorporate into busy weeknight cooking. I know I have. Here's what I like best about cooking Keller's dishes. For me, it's like meditating. During the process of creating a dish, I feel a gentle calm while I'm chopping, stirring, straining. I can reflect on the day, my plans, my troubles, as I coax the food from one stage to the next. I notice things about the ingredients that I overlooked before. Senses awaken in a way that doesn't happen when I'm cooking in a rush. I can't do cooking the "Keller way" everyday either, but the days I can are special indeed. Your views on each of these books are insightful, and while some may not agree, I do see your reasoning. What a truly lovely post. I have made the Ad Hoc fried chicken twice now. I wanted to make it again, but the you-can't-cook-anything-that-ridiculously-good-three-weeks-in-a-row police arrested me. Now that I'm out I'm plotting when to make it again. Ad Hoc at Home, At Home? I frigging love you, Carol. *That's* the reason I've traipsed behind you salivating and dreaming since the FL@H days. Thank you for this blog. I always look forward to new postings. For me both Alinea at Home and French Laundry at Home are essentially beautiful coffee table books (vegetarian for fifteen years). But it's amazing to read you working through them and it's inspired me to try harder recipes. I just wanted to let me know that you inspired me to cook my way through my own cookbook. I established my blog months ago with the intent to review the places I'd eaten and post my own recipes, which I probably still will do, but decided on the fly to make my life harder than it had to be. I haven't cooked anything yet, but I've decided to cook through the Momofuku cookbook, which is sure to be daunting, difficult, and at times, probably kind of squicky. I just wanted to let you know that I loved French Laundry at Home and you (not Julie/Julia) were the first and only cookbook-cooking blog I've ever read! Very insightful post. Which is one reason why people do take time out of their lives to read along with your adventures. Not only are they entertaining and informative, they're also fun and light-hearted and just plain readable!! Excellent post! Thanks for sharing your thoughts on both cookbook projects and Keller's new book. I have a feeling that Ad Hoc at Home is going to be under the tree this year and I can't wait to get my hands on it. Sure, I don't have a ton of time to cook during the weeknights, but that is what weekends are for - to tackle those recipes that have a few extra steps and require a little extra time. I don't get all this backlash against Keller and his methods. Yes, sometimes I want something that tastes good and fast, but I can guarantee you that not everything my grandparents made was done in 20 minutes. Some of the most delicious things they made took a lot of time and care. I think everything is so go go go these days that we tend to forget that.